Last night, I had a rather in-depth discussion with Addye over at Butterfly Confessions. We’ve discussed the same topic before and we’re finally doing something about it because we both think there’s not enough out there about this subject. Her blog post went up last night, discussing the role her antenatal depression, postpartum mood disorders, and other mental health struggles have played in her son’s recent diagnosis of being on the autism spectrum. While our children’s diagnoses are different, our story is the same, and it begins with a long hard look at the stinging guilt with which we now carry along our paths of Motherhood. It’s taboo, really, more so than admitting you struggled with a Postpartum Mood Disorder. It’s a secret locked in a trunk hidden in a house deep in the woods where no one will find it. It’s the poison-tipped tail of a scorpion, the thing that gets you after the initial reaction of having a scorpion land in front of you. It’s the nagging feeling you get in your throat every damn time you look at your kid and think, even for a brief second, that you did that to them. It’s YOUR fault. I’ve been there. I still am, sometimes. Not as much as before, but it’s something that I will always carry with me. A small part of my heart will always be tinged with guilt and a depth of sadness I’ll never shake. I’ve learned to accept it instead of fight it, to give it space to just breathe, knowing I’ll never get rid of it as long as I live. Right next to it though, now, is a space that is filled with a peace I’ve worked very hard to achieve – a peace that cancels out that guilt and sadness…as long as the see-saw is working that day, that is. I struggled with Postpartum OCD after the birth of my first daughter. I’ve made no secret of that. I sought help but was shot down by my OB, an integral part of this story. I had to fight on my own to heal. Looking back, I didn’t do a great job at healing. What I excelled at was shoving all of the darkness down and faking it until I felt like I made it. Only by the time I got there, I was pregnant again and my hormones became the scorpion. They flowed into my pregnancy, along with severe morning sickness. There were days I had to choose between eating or my prenatal vitamin. I often chose eating because I knew the vitamin would make me vomit whereas I might be able to keep the food down. One day, I lived on just one powdered donut. Other days, less. I couldn’t tolerate food for almost four months, if memory serves correctly. I remember thinking I didn’t need the prenatal vitamin. I’d be okay, baby would be fine. Or so my hormone rattled brain said so. I didn’t want to get up, I would lay on the couch as our oldest, just a little under a year and a half, begged me to play with her. I couldn’t move or I’d vomit. So she learned to play by herself. The pregnancy progressed, everything seemed fine, I didn’t have Gestational Diabetes again, the baby measured fine, all was good. Until my baby shower. I went into labor that evening. I was 35wks and 6 days pregnant. (Women with untreated antenatal depression are more likely to go into labor early….or so says the research). At the time, I didn’t relate the two. I just knew I wasn’t full term and contracting. I labored at home until the next morning when we finally saw the doctor. I was dilated enough for them to send me to the hospital. Baby was on her way. Instead of happy, I was nervous. What was wrong? Why was she coming early? We were close enough to full term, really, less than a week away. But still, she was early. After 42 hours of grueling labor, my daughter was born. She looked perfect. 10 fingers. 10 toes, screaming, a perfect squishable pink human all mine. I made her. As I tried to latch her to nurse, she wouldn’t latch. Just kept screaming. I didn’t know why. I tried for 30 minutes. Then we called the Lactation Consultant. I knew what I was doing, damn it, I had nursed our first for 16 months. Why wouldn’t she latch? The Lactation Consultant swept her mouth as soon as she got to our room. My darling perfect little squishable baby was rushed away from me, the word “cleft palate” left hanging in the air. I did that to her. She grew inside of me, imperfectly. I lost it that night, brushed my hair for 10 minutes in front of the mirror. Ugly cried on the phone a lot that week, so much so that my ex-husband couldn’t even understand me at several points. In front of nurses. I cried a LOT. This? Wasn’t the way things were supposed to go. Why had I failed? The kicker? The geneticist at the hospital asked me if I took my prenatal vitamins. I lied. I didn’t need any more guilt. I really didn’t. In my fog, I failed a lot. People told us if we made it through the first year….we’d be scot-free. She’s seven now. Is one of the bubbliest personalities you could ever hope to meet. She’s perfect in every possible way. But she’s struggled so much and her struggles are far from over. Because of me. She fights for every word she says. It could be worse, I tell myself. She could have so many other issues kids with her same condition have – texture issues, an additional syndrome, etc. Aside from her Pierre Robin Sequence at birth, she’s fine. She has speech therapy, and has had additional surgeries to help with her speech. Before she was 2, she’d been through three times as many surgeries as I have in my entire life. I did that to her. What if I’d taken my prenatals? Would she have been born this way? What if I’d fought harder for myself in seeking help for my depression after the birth of her sister? Intellectually, I KNOW it’s not my fault. But still, the sting is there, long after the scorpion has faded out of sight. It’s there, just a tinge of it, every time we talk. Every time I have to decipher what she’s said to me based on the context of the words I am able to understand because I still can’t understand every single thing she says. I recently won $200 headphones. They help me immensely in understanding her when we Skype. The ear-buds I had before just weren’t high enough quality to do so. Even now, I have to make her slow down and repeat what she’s said because she’s seven and well, seven year olds get excited. She will need a lot of orthodontic work. She has the risk of giving birth to a child with similar issues. Kids will tease her because of the way she talks. She was born a fighter without having a say in the matter. While I know this will serve her well later in life, it is something with which I struggle. Some mothers have Postpartum Depression, Anxiety, PTSD, etc, and they heal, with no adverse affect on their children. But there are those out there who experience issues with their children. And because of what we’ve been through, we draw that line from point PPD to point whatever Alphabet Soup DX with our kids. There’s research to back most of it up. There isn’t research (that I’ve found) to back up PPD related to cleft palate but a “Friend” of mine once tried to draw a line to the type of med I may have taken to my daughter’s cleft palate. Punch.IN.THE.GUT. Moms like me need a gentle hand. We need to be heard, not dismissed. We don’t need to hear that “It’s not your fault” because in our heads? It is. It always will be no matter how much you tell us that it’s not. It just will be. We need you to stand with us, to be there when we need to scream, cry, vent, and shake our fists at the sky. To understand that our truth is a hard truth and sometimes it will break us but we will rebuild, a constant practice in our lives shattered by this spike of unexpected blow-back from our already complex, shame, and stigma-riddled experiences. We are women made of glass. Under that glass, yes, we are steel, because we have to be, but on the outside, we are glass and we shatter. We need you to be someone who lets us shatter, someone who helps put us back together and take another step forward as we walk toward processing our new truth. It’s time for us to come out of the darkness and speak up, to be honest about the role we feel we played in the issues affecting our kids, and to find support, REAL support, not dismissive attitudes, in our search for the light both we and our children need to thrive. We seek out the research drawing the lines from Mom to our kid’s issues, whatever they may be. Sometimes, the line tracing back to Mom is real, worth exploring, and worth understanding. Without it, we’re just left wondering why. I, for one, don’t like hanging out in the middle of nowhere with no answers. Any answer, even a horrible one, is better than no answer at all. It’s something. A direction in which we can begin to move forward from, a new beginning from which we can start to walk toward solace. Even if we never reach it, walking toward it is often enough. It has to be, right? This entry was posted in advocate, cleft palate, education, family, infant, labor, life, mom, motherhood, pain, Perinatal Mood Disorders, pregnancy, strong woman, survivor, woman and tagged cleft palate, postpartum depression, Postpartum OCD, special needs on April 24, 2013 by LHale. As if ABC’s Private Practice hadn’t failed enough recently, there’s a brief interview with Tim Daly in this week’s TV Guide. Mr. Daly rails against Violet’s character rejecting help from both his character and the other possible father of her unborn child by calling it “sexist and bulls#$%.” Wait. It gets better, I promise. What, so watching a happy birth on a drama is supposed to help the American female psyche? How? Nevermind that your show just totally screwed the American female psyche over with your hack job on Postpartum Mood Disorders. Do you REALLY think they could do better with birth?? And what is your definition of an easy, joyous, happy birth? Medicated? Natural? What? Let’s go there, Mr. Daly. Nevermind that birth isn’t always easy. And let’s just totally ignore the work of people like Ricki Lake and The Business of Being Born or Karen Brody and her play BIRTH. Or Susan Hodges and her organization, Citizens for Midwifery. Let’s show a Mom giving birth at home with a midwife instead of with an OB in a medical environment – that’d be happy and joyous! And FYI, Mr. Daly, there is nothing EASY about birth. Try it sometime. Oh wait, you can’t. Sorry. This entry was posted in advocate, family, fathers, infant, joy, labor, motherhood, pain, pregnancy and tagged Birth: The Play, Citizens for Midwifery, Karen Brody, Private Practice, Ricki Lake, Susan Hodges, The Business of Being Born, Tim Daly on February 25, 2009 by LHale. I had the pleasure of meeting Amber during an initial meeting for the formation of Georgia Postpartum Support Network. Amber is a mom, a working professional, a blogger and a dedicated Postpartum Peer support volunteer who facilitates two groups in Atlanta. She also serves as GPSN’s Secretary. Thank you Amber, for being a brave and courageous woman in adding your voice to the ever-growing group of advocates for PPD Support! Tell us about yourself. Who is Amber when she’s not being a mom? I am a friend, a wife, a sister, a daughter, and also a career-oriented woman. I enjoy my work in service as Director of Intergenerational Ministries at my church. I also provide one-on-one and group volunteer peer support to women with Postpartum mood disorders. I do this through email, meeting moms in person, the telephone, and also a support group in Midtown Atlanta that I facilitate twice a month. I also host a playgroup and mom’s discussion group at the church, each once a month. I serve as Secretary of GPSN and I hope that this role will allow me to help bring awareness and education to Georgians and all Americans someday. Share with us how your Postpartum Experience unfolded. Did you feel prepared for childbirth and the postpartum period prior to giving birth? I was commited to a natural birth, but after 36 hours of labor I had to get an epidural and then after ten more hours I had an emergency c-section. My birth was completely different than I had planned or hoped for, and I was devastated. I began my postpartum experience filled with regret, shame, and completely sleep-deprived in addition to being physically unwell. I utilized the Hynobirthing method in preparation for and during labor. I did feel completely prepared for a natural, vaginal birth. Unfortunately, in my desire to be commited to natural methods I didn’t even consider the possibility of it not unfolding the way I wanted. This left me disappointed and shocked. What prompted you to seek help – what wasn’t going well and what helped you get on the road to recovery? After 5 weeks of exclusively pumping breastmilk because my son would not latch on and not getting more than 2 hours sleep at night I felt completely a wreck. I was scared, unhappy, exhausted, and I had so many unsettled feelings leftover from the birth. On top of that, I was still recovering from major surgery. My head was filled with obsessions and anxiety. I knew that I needed help. I was thankful that I had the business card of a psychiatrist my OB-GYN had given me early in my pregnancy (it was a surprise and I was not sure how I felt about it when I first learned I was pregnant). What helped most was the medication. After two weeks on anti-depressants I knew I was still very unwell and we added a couple of other meds to my regimen. This helped SO much. I really needed something to help me sleep and quell my anxiety. Talking with my doctor who is an expert in this field made me feel normal and less alone. The biggest thing I did to help myself was to admit to everyone how sick I was. I told my parents and husband the truth about my obsessions, my depression, my lack of sleep, and how helpless and hopeless I felt. Because of my truthfulness, they were able to be fully aware of my situation and to act appropriately to care for me and my son. During the 4th week postpartum we had begun utilizing the nanny who had planned to be with my son once I returned to work. After I was diagnosed and through my early weeks of treatment she continued helping several days a week. Knowing my baby was well cared for was reassuring. During the most difficult time (weeks 6-12 postpartum) my husband was my rock. I am not sure how he was able to keep a positive outlook while living with someone who was so depressed, but he did. Returning to work at 13 weeks postpartum was healing for me. I found the me that had something to offer other than diaper changing and rocking. Lastly, I have a best friend that was there for me in every way on an almost daily basis. That support rounded out my treatment and allowed me to recover much faster. I know that you’ve had some Postpartum Thyroid issues. Share with us some of your experience and how your physicians uncovered the Thyroid factor. It is still unclear as to the severity of the thyroid issue or whether it has had any role in my postpartum struggles. I have had fairly moderate gastic pain and also sleep difficulties and fatigue since I first gave birth. In my efforts to explore what was wrong physically and emotionally in the 2nd month postpartum we learned that my thyroid was functioning in the hyper spectrum, if only slightly. One year later, the results are the same. I will be having a thyroid scan on Monday to determine how my thyroid is functioning on the whole. I do know for sure that thyroid issues can have an extreme impact postpartum, though, and recommend that thyroid tests be done on anyone experiencing a PPMD. At what point in your recovery did you feel the desire to turn your journey into support for other mothers? How empowering has the experience been for you? I knew from the moment that I began coming out of the darkness (around 11 or 12 weeks postpartum, after 6 or so weeks on medication and with therapy) that I felt called to serve other women and to educate all people about PPMDs. In my darkest hours I never felt alone and always knew that God would make good out of a truly horrific experience. He has opened so many doors for me. I am still amazed at how women find me…it feels very spiritual at times. Being able to help others makes me feel purpose in my pain. It allows me to relate to others and provide true empathy. It is a precious gift. As I often share; it took me 31 years to find my calling and spiritual gift. I never was good at sports or music, and though I did well academically, I believe that this work is my true passion and area of giftedness. Share three things that made you laugh or smile today. My son trying to “swiffer” my hardwood floors at 16 months old. The thought of sitting on the beach reading a book in complete peace and quiet. What has been the most challenging aspect of parenting so far? The least challenging? For me the loss of identity initially was devastating. I had a very difficult transition into motherhood that I believe they now call Postpartum Adjustment Disorder. I simply could not accept that my life entailed changing diapers and trying to entertain a completely helpless being. Finding a way to find myself again and then balance the “new normal” with fulfilling my own personal needs was a challenge. I believe that it is only in the past 3 months that I have found my way again. I typed the sentence, “the least challenging for me…” three times before I finally erased it and decided to share that I don’t think there are any aspects of being a good parent that are easy. That’s the deal…you reap what you sow. I know that each time I face a choice when it comes to my son that the “harder” option in the short term will be the better one for the long term. That which takes effort is rewarding. As you recovered from Postpartum, how much of a part did your faith play? As you can tell from my previous answers, my faith was everything to me. I am not a fundamentalist and I don’t feel like an extremely “religious” person, but I do believe that God can be seen so many times in my day, each day. His hand touches my life with great blessing. I am not rich, powerful, or even close to perfect, but overall I have a good life. There was a time that I didn’t, so I think I appreciate my life now even more. I believe that being in conversation with God through prayer during the difficult childhood I endured and the horrible PPMDs I overcame made the difference in who and how I am on the other side of all that. Faith defines who I am. Tell us about your blog. What should readers take away from your writing there? My blog began as a way to talk about what I was doing with the mom’s groups and what I hoped mothers would get out of those groups. I also wanted to document my experiences in an organized way and once I read another blog I realized that was a free and easy way to do so. That was almost a year ago. Since then, I have developed it into a much more comprehensive site. I post news and research, personal stories, support group info and more at www.atlantappdmom.blogspot.com. Had I realized that I would be writing in the long term there and that the readership would grow, I would have chosen a different web address. In order to have a more educational site with a name that will appeal to everyone I created a website, additionally. 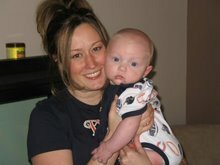 www.postpartumhealing.com has specific information for those who are just discovering postpartum health topics. I hope that readers of my blog will find honesty and integrity in what I share about being a mother. I try to tell it like it is, even if I am only feeling that way for a short period of time. I know a few things I have shared have made people cringe, but I never was good at hiding the truth. Maybe there are women who LOVE every moment of it. But, I think that most of us dislike a lot of aspects of being a mom. It doesn’t mean we love our children any less, though. And last but not least, if you had a chance to give one piece of advice about Postpartum Depression to an expectant mother, (new or experienced), what would it be and why would it be important for her to know? My advice to everyone, postpartum or not, is to have and to offer REALISTIC expectations of motherhood, especially the first 3 months. It is normal not to fall in love with your newborn. It is ok to feel inept and scared. It is not really easy or fun to care for such a little person when they can’t even provide a smile to thank you for your exhaustingly hard work to keep them alive and well. Being a new mother is a journey with challenges that match each joy. Thank you for inviting me to share my experience with your readers. This entry was posted in advocate, labor, life, motherhood, postpartum depression, prayer, survivor and tagged Amber Koter-Puline, chat, GPSN, Postpartum Anxiety, Postpartum Peer Support, Postpartum Thyroid on February 5, 2009 by LHale. Thanks to Heidi Koss-Nobel for bringing this one to my attention. I needed the ensuing smiles and feelings of “ummm… say what?” in reaction to a fluffy piece of news related to mother’s moods after the week we’ve had in research around here. Apparently Hello Kitty has been recruited to help soothe mothers at a maternity ward in Taiwan. Not sure if this is based on legitimate research or is just an anecdoctal piece but still, Hello Kitty? Really? 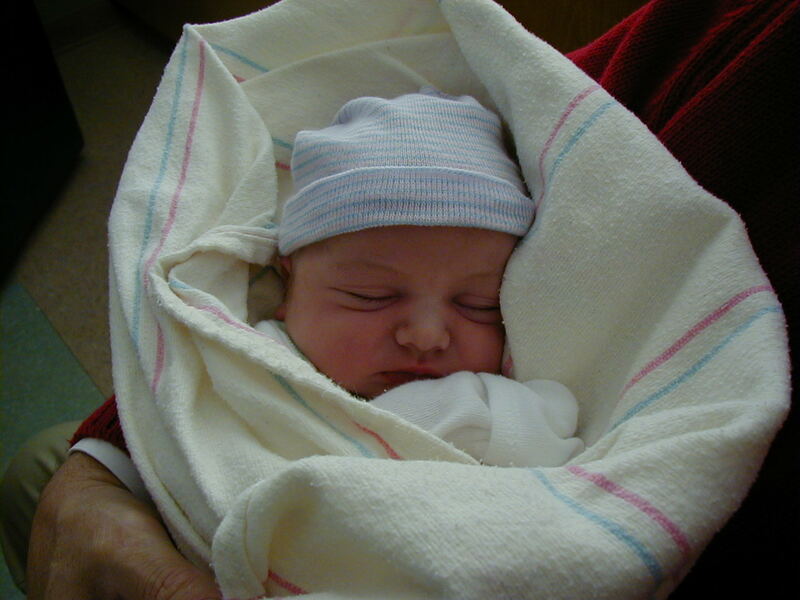 This entry was posted in happy, infant, joy, labor, pregnancy, woman, women on January 23, 2009 by LHale. Not too long after launching The Postpartum Dads Project, I received a comment from a reporter based in Illinois requesting contact from someone with the project. I emailed and finally touched base with her last week. While doing research for an article about Natalie Dombrowski’s experience, she came across the Postpartum Dads Project site. I began to notice some traffic being directed to Unexpected Blessing from The SouthTown Star’s website and decided to check it out. This is how I discovered Natalie. Like me, she’s experienced Postpartum Depression but to a much higher level. She is also SPEAKing out about her experience and has written a book detailing her journey. I hope you enjoy reading her interview here and if you’re interested in reading her husband’s point of view, I’m happy to tell you his interview is available at The Postpartum Dads Project! You can also keep up with Natalie at her blog. Thank you Natalie for being brave and courageous in sharing your story. It’s because so many more of us are SPEAKing up and out that the stigma is slowly being stripped away from this very real illness that rips at the very heart of so many American families. Tell us a little bit about Natalie. What does she love to do when no one’s looking? Well I am thirty-four years old. I am very happily married with one child presently. I love to read when I get a moment, most of the time it’s before I go to bed. I’m usually asleep after fifteen to twenty pages. Currently I am reading ‘The Memory Keeper’s Daughter” for my book club. My mother-in-law is teaching me to crochet. I thought it would be nice to learn. When I was little I used to do latch key kits. I love going to the movies. I love to shop when it is feasible; however I always pamper myself by getting either a pedicure or massage once a month. And, I enjoy having an occasional glass of wine. As both of us know, motherhood isn’t always smiles and kisses. For some of us it gets very dark with no sign of light and the whispers we hear aren’t search parties setting out to rescue us. How dark did your experience get and what finally brought the light back into your life? My illness was so advanced that I had to be hospitalized for twelve days. If I think back now I can still remember the immense internal pain. I was so hopeless, I felt like anything would be better than feeling the way I felt. I believe that was the darkest part of my experience. I had never felt like that in my entire life. I certainly didn’t understand why I would feel this way when I just had a baby. A baby that I planned for and wanted. Wanting to end my life was scary, but not as scary as the intrusive thoughts I had to harm my baby. At one point I imagined my son to dying from SIDS. I could not understand these immoral thoughts, but they would not stop coming. I have always fought my way through things. Between the choice of fight or flight; fight always won. This time I saw no way to fight. I didn’t know that I was sick and that I needed someone else to fight for me. That someone ended up being my husband. I remember the first time after my baby Brian was born when I truly felt hope. It was on the Fourth of July. We were going to host the Fourth but decided it wasn’t a good idea. Brian already bought fireworks, so that night I had my own personal fireworks show. Outside, monitor on the front porch, an ear’s length away from my baby, fireworks and my beautiful husband made the hope in me ignite! That is when I knew it was all going to be ok.
You also experienced a traumatic childbirth. Do you think this contributed to your experience? How have you reframed your experience? I absolutely know that the traumatic birth contributed to my illness. I was not medically diagnosed with PPPTSD. But if more physicians were better equipped to understand and deal with mood disorders, I certainly believe it may have been my medical diagnosis. I can’t say that I have reframed my experience. What I have done is educate myself. I understand what happened to me. With this, I believe I have reframed my previous thought ‘I don’t want to have anymore children.’ I want to give myself and my husband another chance at a happy and healthy postnatal experience. And I want to have more children like I always did. Back to You, your book about your struggle is now available at Amazon.com. 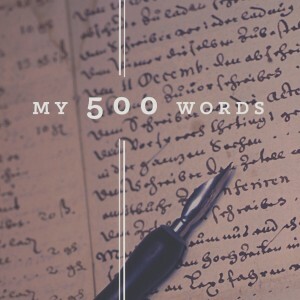 What made you decide to write this book and share it with the world? 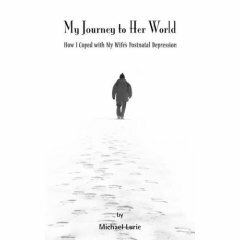 The book was originally a journal I set out to write as part of my own therapy. I had replayed everything over and over in my mind. I wanted to move on. I believed if I wrote it down I could. When I was finished I read it out loud to my husband; he encouraged me to share it with others. What are three things that made you smile today? Well, today, my son repeated what I said, “what happened.” He had his hands out stretched and had a look of confusion on his face! It was adorable. I smiled when my little brother, not so little – he is 31, told me that he was going to Virginia to visit a girl he met on his New Year’s cruise. I know it’s early but I love weddings. I also smiled today because I know my husband was happy to have completed a long and difficult job. What do you find the most challenging about motherhood nowadays? The least? I find motherhood very exhausting. I am a stay at home mom, and by the time my husband gets home I am seriously exhausted. I am thankful that he takes our little guy off my hands for an hour or more before dinner. This is an underestimated profession and lifestyle. The least challenging thing about motherhood is in the pure fact that your child makes it all worth while. I am a strong believer that Postpartum Mood Disorders affect more than just Mom. They disrupt the entire family balance. How did your husband handle your diagnosis and hospitalization? My husband handled my diagnosis and hospitalization in a very mature and understanding manner. He was truly my rock. However, when I was better he began to get very angry. At first I didn’t understand, but as time went on, I realized what had happen. He had to stop living his life too; not only because we had a child, but because I was sick. He certainly was not prepared for that. He was only supposed to be off for two weeks. One of which was spent with us in the hospital for the first five days of little Brian’s life. He was supposed to go back to work, his life like normal. I think this whole idea of back to work, back to normal should be redefined. New baby = a new life & change. I read in the news article at the South Town Star that you posted notes all over the house to yourself about how you were a good mother, not to blame, etc. What were some of the other little things you did to help yourself recapture a positive mindset and come back from the dark? That was a big one. I truly needed to replace my negative thoughts, with positive ones. Even if I didn’t believe them right away. This technique in therapy is called CBT Cognitive Behavioral Therapy. This was the approach I was given to follow. Also, the home-health care nurse we hired was a very big part of my recovery. She was my coach, cheering me on and teaching me the challenges of motherhood. We really didn’t have the money for her but we decided to use money from our wedding. Tell us about SPEAK. What does it stand for and what are your hopes for this project? SPEAK… stands for (Spread Postpartum Education & Awareness Kinship…) It is a five point presentation intended to educate women. I have created this from my own personal experience and my active role in learning about postnatal mood disorders. I intend to SPEAK… I taught middle school math, algebra, and geometry for almost seven years. Now my goal is to teach moms-to-be, new moms, family members directly involved with the care of a mother, everyone about this under diagnosed and under recognized disorder. Women and babies have lost their lives to this illness. I almost did. This is pointless. I know, from the conferences and books I have read that a lot of people and organizations are taking the much needed steps to push the Mother’s Act through the Senate, hopefully with the new 09’ Congress. In the meantime I feel those that do know about postnatal disorders have an obligation to help all women right now. We need to educate all women about the possibility of postpartum depression after birth. And I am not talking about the brief 15 seconds that were allotted in my own birthing class. I am talking about dedicating 50 minutes or more about the myths of motherhood, the risk factors, the screening tools that are available on-line, signs & symptoms, the law and what they can do to advocate for their health & care right now and finally I offer suggestions of how to treat this devastating illness if it happens to them. Awareness is the key. Last but not least, what advice would you give to an expectant mother (new or experienced) about Postpartum Mood Disorders? My advice would be to attend a SPEAK… presentation; however, they may not be in the Chicagoland area, so therefore I would advise them to be aware of the different types of mood disorders. They should know there are screening tools that can be requested especially if they have some risk factors. Her family and friends should be knowledgeable of symptoms as well. (These people closest to her need to be aware!) And in the case that she has a mood disorder, she needs help. A treatment and/or support plan can and should be in place ahead of time. A care calendar should be set up in advance for the mom. The calendar should be for no less than six weeks of care after the birth of the baby. (The mother needs to be cared for too. If she had surgery, a caesarean birth, she is unable to move around even less. Meals and infant care should be a huge part of the care calendar.) Also, the name and number of a therapist in the area that has experience with women’s health needs to be available. This is not an illness that should be learned about after the fact. Measures need to be in place ahead of time. This is the best advice I could ever give. Just like some of us may have forgotten to plan our marriage when we were planning our wedding, we really need to plan for more than just the birth of our child. This entry was posted in advocate, education, family, fathers, husbands, infant, labor, life, mom, motherhood, pain, postpartum depression, prayer, public awareness, recovery time, sharing the journey, strong woman, survivor, tears, Therapy, woman and tagged author, book, hospitalization, intrusive thoughts, Natalie Dombrowski, Postpartum Post Traumatic Stress Syndrome, SPEAK, traumatic childbirth on January 15, 2009 by LHale. Sharing the Journey with ME! Here’s a twist on the typical Thursday Interview fare around here. I asked my husband to email me 10 questions. He sent 11. I figured it was only fair to allow him to interview me being that he was kind enough to do the same. Enjoy getting to know me even better! Tell me about the first time that you thought you might be suffering from PPD. How did you cope with it? We were living in South Carolina and miles away from any family or support when our first daughter was born. Just a few months prior to her birth I discovered the online community at iVillage.com and became quite active there as I did not have any friends or family nearby and was practically bedridden due to severe pelvic misalignment issues. Allison’s birth was quite the traumatic experience (the doctor is very lucky I had a moment of sanity and decided NOT to kick him) and no one really seemed to offer any help after she was born. It was kind of an in and out experience, which, unfortunately, is the norm nowadays. Once we got her home, the first thing that happened was an employee of yours stopping by the house with her son who was sick and sneezing. He proceeded to touch all of the baby stuff and I totally freaked out. At the time I did not see this as the beginning but the level of anxiety I felt that day took a very long time to dissipate. I really started to sink lower when you went back to work and remember standing over Alli’s crib and apologizing to her because I had no idea what to say to her. I thought she was judging me for not knowing how to be a good mommy. I was also very upset with myself because motherhood was what I wanted – even more than being a wife – I grew up wanting to be a mommy more than anything and here I was, finally a mom, and felt I was failing. I realized it might be PPD through the online community at iVillage and reading things other women had posted. At three months postpartum and after some serious soul searching, I finally made an appointment with my OB. I was tired of the intrusive thoughts, the anxiety, the anger, I was tired of not being myself. So I went online, took a screening test and scored severely depressed having answered the questions about self-harm and harming my infant with a yes. I took this to my OB and he refused to acknowledge the possibility of PPD but did admit something was going on – PPD, no – because I was more than 6 weeks PP and my “hormones should be back to normal by now” Calm down now – it gets worse. Alli was screaming to be nursed as we discussed things (crying is my WORST trigger) and my OB brazenly asked how important it was to continue breastfeeding. What he said next shocked me. He refused to medicate me because I refused to quit nursing. His precise words were that I refused to stop nursing for trial therapy. I have my medical records to prove it. Because I was clean, had applied make-up, and was well-spoken, I couldn’t be depressed. Because I didn’t “look” the part, that couldn’t be what was wrong with me. He admitted something was going on but refused to admit that it was PPD. I was referred to the in-house counselor but they kept changing my appointment which made things worse so I refused to go and canceled my appointment. Just two months later we moved back to Georgia and things started to improve because we were able to leave Alli with your parents and I started to get some time to myself. I thought I was recovered but sadly we discovered after I gave birth to Charlotte that I had not and things were worse than ever. After giving birth to three children, how did your pregnancies differ in relation to your PPD experiences? My first pregnancy was the easiest but I think all Moms say that – after all, you don’t have other little ones to chase around or keep up with. My first round of PPD was also mild compared to the second time around. The second pregnancy was a bit easier physically because I knew what to expect but harder in the aspect that I had a toddler to run around after which is the last thing you feel like doing when your stomach is revolting against well, the world. The postpartum period after Charlotte’s birth was the most intense – her cleft palate, my depression and subsequent hospitalization, her multiple surgeries, Alli’s terrible two’s, your stressful and exhaustive job, pumping full time for Charlotte… you name it, there wasn’t a roadblock we didn’t face. But we made it through, clutching the bar holding us down into the roller coaster until our knuckles were transparent. Honestly, how supportive was I when you were going through such a terrible time? What do you wish I had done differently? Overall, you did a great job keeping us together as a family even if it meant putting on a show for me and for everyone else. As for having done something differently, hindsight is 20/20 and there’s nothing we can do to change our past behavior. I believe strongly that our marriage can now withstand anything anyone wishes to toss our way. We’ve certainly been through quite a bit in six short years. You have certainly turned some very tragic events into ammunition to help other women fight PPD? How have your PPD experiences helped you help others? What role has your faith and belief in God played in your battles with PPD? Raised Christian and having given my heart to the Lord at the tender age of 6, I had fallen away from the Lord and had really not been close with him for quite some time when Alli was born. I started to pray more and continued with this throughout my pregnancy with Charlotte. After Charlotte’s birth, I could feel His presence and let myself lean on Him although not as much as I should have, looking back. God knew he wasn’t done with me yet so He sent us Cameron to show me how much of a miracle He was capable of making. And He made a cute one! When I first started helping others with PPD, I was uncomfortable talking about faith and God. Now it’s one of the easiest things to talk about. God has truly taken me into his Arms and blessed me. And I figure – if Jesus died for our sins, what a small price PPD is compared to His sacrifice. It’s taken me nearly four years of intense growth and molding to come to that conclusion and is not something I have come to believe lightly. My faith is stronger than ever and is still growing. On the other side of the coin, have your PPD experiences affected your faith? How? My PPD experiences have certainly brought me closer to God. I have come to realize that He has big plans for me and I have learned to quietly listen to his voice and truly lean on Him during times of need. In fact, if I start to worry now, I instantly pray rather than let it spiral out of control. I can’t even begin to express how grateful I am for all the growth He has allowed in my life over the past few years! Life can be busy. Ours certainly is. You are a mother of three, homemaker, PPD advocate and wife. It almost seems impossible what you do. So I have to know, how do you do it? I have no idea. If you figure it out, let me know. Seriously though – I grew up watching (and helping) my mother around the house. She was a Stay at home mom too and I picked up a lot of tips from her too. I still call every day (HI MOM) well, almost every day as I’m much busier now and she gives me lots and lots of tips. A lot of the PPD work I do is online so I can do bits and pieces here and there. I’ve also got the housework down to a science and can have that going while I’m working on PPD stuff in the living room. One rule I’m working on is that when the girls are awake, I am all theirs unless I have to cook or clean. Even then I try to get them involved so they don’t feel left out or get them playing with play-doh at the dining room table so they’ll at least be having fun. I love my times with the girls as it’s what keeps me sane – well, along with time with you too! It never ends. My mom has a cartoon on her fridge at her house that I would LOVE to have – a census worker is at the door and a woman is standing there. She is saying, “Work? I just wake up and there it is.” I am never off – I am on call 24/7. Just today I was mother, nurse, friend, poopy cleaner, fan fixer, chef, linguist, wife, writer, brain-stormer, dishwasher, laundry lady, pie maker, dog walker, hand-holder, singer, and most importantly, ME. What is your favorite thing about motherhood? Seriously though – I would have to go with getting the kids to laugh and have a good time. There is NOTHING more heartwarming and uplifting than allowing myself to be a total kid right along with them. I know this is not something you’ve seen terribly often but I’m working on it. At least I’m singing more in front of you more, right? And last, but not least. What is it like being married to such a hunk and amazing man? It’s like the way the Earth smells right after an afternoon rain shower. No matter how many times you experience it, it’s always new, refreshing, and uplifting even though the storm that brought you there may have been the most difficult storm you’ve ever experienced. This entry was posted in advocate, cleft palate, education, family, fathers, frazzled, happy, husbands, infant, labor, laughter, life, mom, motherhood, postpartum depression, prayer, pregnancy, public awareness, recovery time, relaxation, sad, sick, strong woman, survivor, tears, The MOTHERS Act, toddlers, woman, women and tagged advocate, birth, faith, Lauren Hale, motherhood, PPD, pregnancy, self-interview, sharing the journey, support, toddlers on July 17, 2008 by LHale. Sadly, her nervous breakdown led to divorce and leaving her daughter in the custody of her ex-husband. Turning to writing as a way of earning money, Gilman eventually found herself as a spokesperson regarding “women’s perspectives on work and family.” Perkins Gilman believed that men and women should share household duties and particularly that women should be taught to be economically independent from a very early age (DeGrazia, Jodi), a topic she focused on in her work, Women and Economics, penned in 1898. 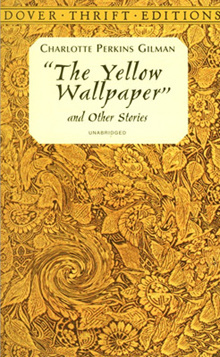 The Yellow Wallpaper has been a favorite story of mine since first read, love at first words. I identified with the main character well before experiencing motherhood and my own brush with insanity shortly thereafter. Perkins Gilman did an exquisite job of breathing a realistic insanity into her main character as well as exposing the mental health diagnoses and “cures” of the day for what they truly were – sadly insufficient and ignorant of treating the illness and instead closeting away those who suffered in hopes of recovery or at least not be part of mainstream society and therefore remain to be a “figment” of one’s imagination, the dark family secret. Engaging the help of a close friend and gathering what strength she had left, Perkins Gilman picked up her artistic work again and began to recover, finding strength within her work and “ultimately recovering some measure of power.” This experience is what led her to write The Yellow Wallpaper. Perkins Gilman admits to embellishments, stating she “never had hallucinations or objections to my mural decorations”. Written as a celebration of return to her success, her true motivation behind sharing her story, albeit in a fictional world, lay within the hope of saving others from her fate of mistreatment and the nearly paralyzing insanity following soon after. It has, to my knowledge, saved one woman from a similar fate–so terrifying her family that they let her out into normal activity and she recovered. But the best result is this. Many years later I was told that the great specialist had admitted to friends of his that he had altered his treatment of neurasthenia since reading The Yellow Wallpaper. It was not intended to drive people crazy, but to save people from being driven crazy, and it worked. The number one reason I hear when women have chosen to share their experience with a Postpartum Mood Disorder is the hope that it will provide comfort to another as she travels down the same road. It is with the same spirit Perkins Gilman penned The Yellow Wallpaper that I share my story. Recovery is a hard road and sometimes a lonely road. I said from the very beginning of reaching out to others with a helping hand that if I could help even one woman, it would all be worth it. The screaming, the agony, the tears, the lifting of the fog – it would all begin to somehow make sense and instead of continuing to drag me down, it would lift me up. The fog did not begin to lift until I reached out for help and found it – drenching myself in the stories of others who had been where I no longer wanted to be and read with new understanding and an intensity I had never known before just how they were able to escape the depths of depression and reach the light, breathing in sweet fresh air again. Determined to shine a light on the path for those behind me and around me, I dove full force into sharing my story. Every time I shared my experiences with a woman who believed she had no hope left and found herself ashamed of her condition and witnessed what an impact my openness and vulnerability had on her, I knew supporting Mothers was my calling. So I write about Charlotte Perkins Gilman in order to better explain my mission here at this blog and in life. I refuse to let another woman suffer alone and in silence. Not on my watch. This entry was posted in advocate, frazzled, joy, labor, life, mom, motherhood, postpartum depression, public awareness, recovery time, relaxation, research, strong woman, survivor, woman, women and tagged author, Charlotte Perkins Gilman, depression, fog, nervous breakdown, peer support, power, recovery, rest cure, strength, The Yellow Wallpaper, writing on May 18, 2008 by LHale. He’s here! Our unexpected blessing arrived on December 18th at 419am after a short labor, tipping the scales at 8lbs 7ozs, measuring 20in long. We checked into the hospital at 630p, Pitocin was administered at 8pm, water was broken at 11pm, epidural at about 1am or so, short nap (thank GOD), awoken by epidural fading, feeling like I needed to push, and 45 minutes later Cameron was born. He had to be suctioned and received some blow by oxygen due to his short trip down the birth canal but his palate is intact and he is a champion nursing baby boy!!! He looks just like the girls except that he has brownish green eyes. Chris and I have to keep reminding ourselves he’s a boy! LOL. I am doing well. Already feeling great, moving around, still sore a bit physically. Mentally I am doing well. I thoroughly enjoyed cuddling with Cameron today and really bonded with him. I spent most of the day with him in bed with me just staring at his gorgeous little face. He nursed quite a bit today and as I said earlier, definitely knows what’s going on in that department. Chris and I feel that Cameron has been blessed to us as a reward for all our hard work with Charlotte. We truly survived the fire with her and feel so blessed to have her as part of our lives. … and now to have Cameron as well. We already felt blessed to have Alli as well but now we definitely feel that God has smiled upon us and for this we are grateful. This entry was posted in family, fathers, happiness, happy, husbands, infant, joy, labor, life, mom, motherhood, pain, postpartum depression, prayer, pregnancy, recovery time, woman and tagged birthday, induction, OUCH on December 19, 2007 by LHale.